Is there any way to recover deleted photos from longer than 30 days? Then, you may wonder: Is it possible to get back iPad photos from longer than 30 days? Yes! iFonebox is certainly the best photo recovery tool in the category. It features in recovering deleted or lost data in various scenarios. 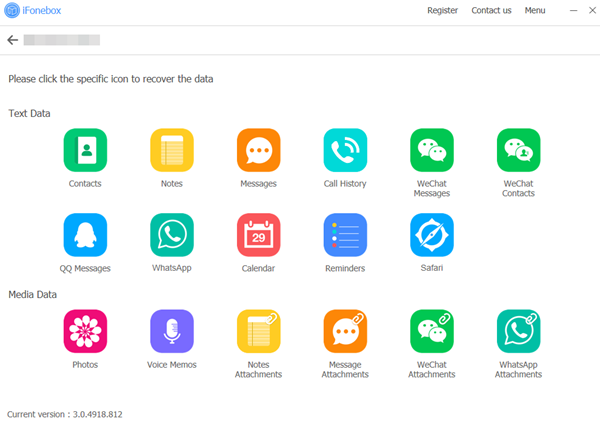 Apart from retrieving iPad photos from longer than 30 days, it also can help you find missing text messages, contacts, notes, music, video and other content data files on iPad. As we all know, It is not possible to select a particular data to restore but will restore the whole backup. The Erase all Contents and Settings step will remove any previously saved data from your iPhone if you restore from iCloud directly. 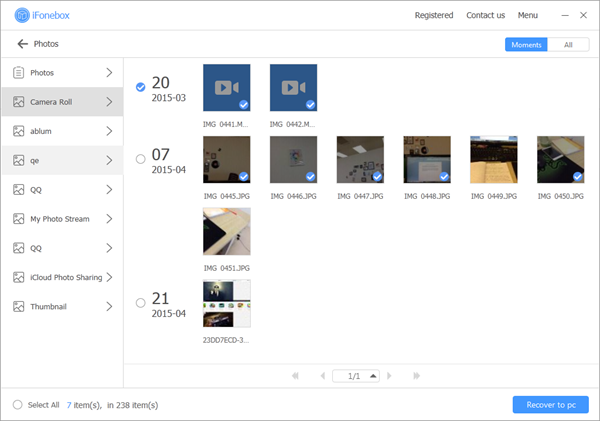 With iFonebox, you can selectively restore iPad photos from backup that lost longer than 30 days. Moreover, you’re also allowed to preview detailed data on backup in advance. Sounds unbelievable, isn’t it? 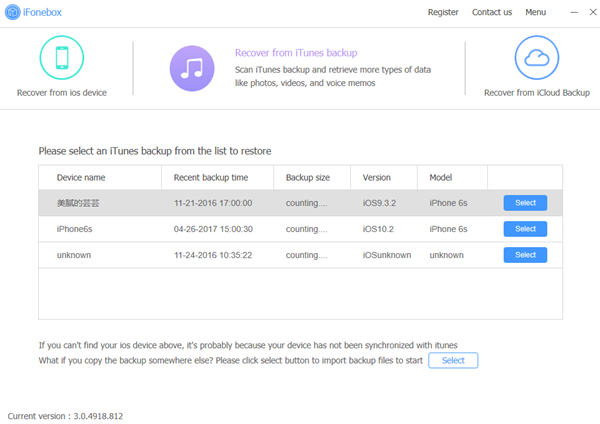 An available iTunes or iCloud backup.